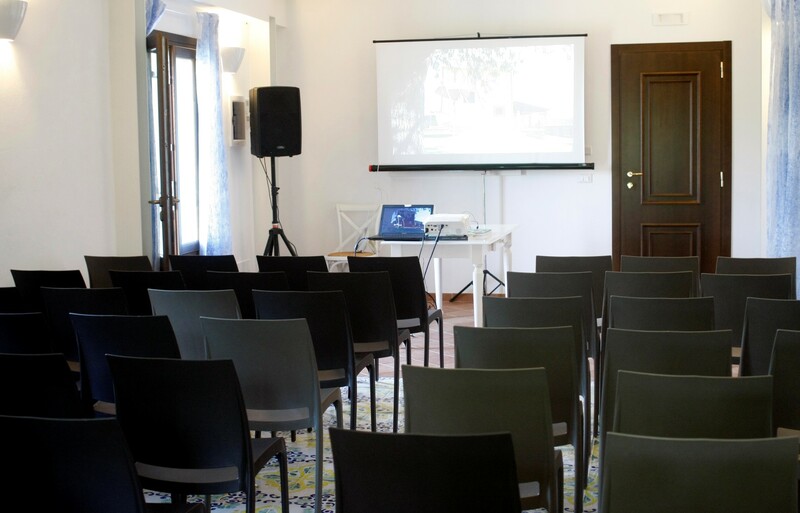 Inside Villa del Grano, our newest addition to La Corte del Sole, a small mixed-use room is available for conferences, meetings, training and team building activities, book presentations, group activities and any other type of event. Welcome desk, PA system, wi-fi and video projector are available in the room. We can offer our guests coffee-breaks or working lunches in the Restaurant Le Muse.